It’s been a rollercoaster ride to voting day, even by Maldivian standards. There are two days until voting begins in the Maldives presidential election and, at the time of going to press, it looks as if the poll will go ahead. The Maldives Independent breaks it down. Why is this poll important? It could mean five more years of President Abdulla Yameen, who is pushing the country towards autocracy and pariahdom on the world stage. 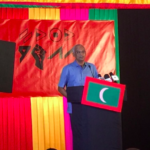 Or it could mean the election of opposition candidate and veteran lawmaker Ibrahim Mohamed Solih, who has never held a ministerial post but could steer the country back towards democracy. What happened in the last poll? 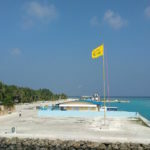 Mohamed Nasheed was the front-runner with 45.45 percent of the 2013 vote, while Yameen was second with 25.35 percent. But the Supreme Court annulled the first-round vote despite unanimous positive assessment of the polling by more than a thousand local and international election observers. The intervention was followed by two weeks of street protests, strikes, travel warnings and rumblings of concern from the military top brass. What are the prospects for a Yameen win? Pretty good. He’s done everything he can to keep his opponents out of the picture and, as the incumbent, has more influence and money than the opposition. One of his ministers says Team Yameen hopes to win “above” 70 percent of the vote. 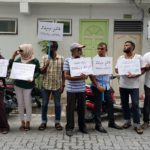 What are the prospects for a Solih win? Pretty good. 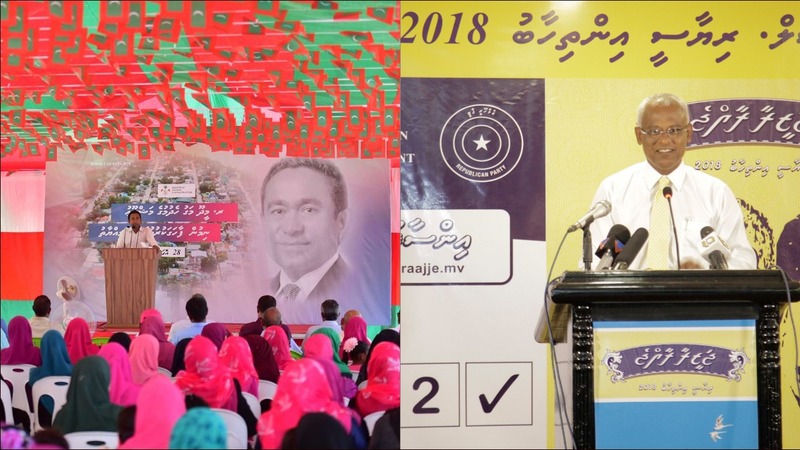 He’s done everything he can to mobilise support on all inhabited islands and has the backing of ex-president Maumoon Abdul Gayoom and tycoon Gasim Ibrahim, who both command loyalty among the electorate. In the 2013 election Gayoom backed his half-brother Yameen and Gasim stood as a candidate. Gasim came third with 24.07 percent of the vote that year. 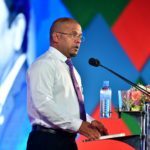 The police and defence minister have spoken of security threats and “dangerous acts” while the opposition is alleging dirty tricks from the Elections Commission and the ruling Progressive Party of the Maldives. What does the international community want? The election takes place after months of political turmoil: a state of emergency, an alleged coup, a crackdown on freedoms and high-profile court cases. The European Union says it will sanction anyone or anything responsible for rights abuses or stopping a free and fair election from taking place. 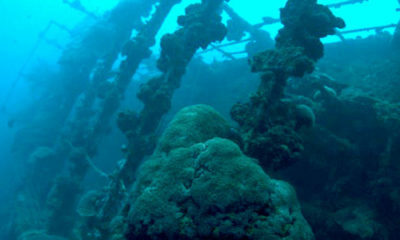 The US has also said it could adopt targeted measures. 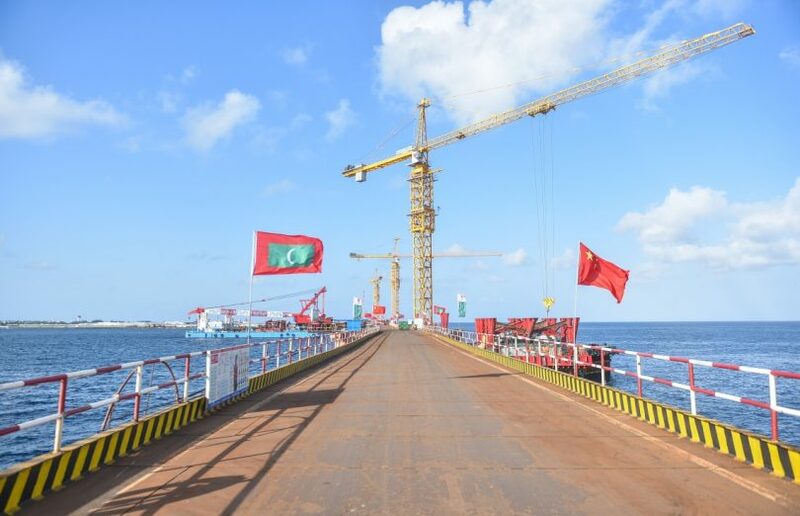 China, a massive investor in the Maldives, has said little other than it will not interfere in another country’s affairs. Neighbouring India is unimpressed by the current administration in Malé. Others in the region have largely remained quiet. Yameen is the focus of an explosive corruption exposé for the second time in his presidency, and his government is driving the erosion of rights that has caused so much alarm. He has lied about island development and crime rates and his outlandish remarks cause a storm on social media. 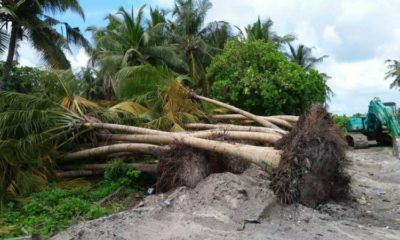 His jailed former deputy has made wild allegations about sorcery – involving crocodiles, trees and oil massages – and there have been calls for Yameen to be removed from office so these claims can be investigated. But controversy and condemnation have dogged him since he took power. It is hard to say if scandal is enough to change minds at the ballot box. The worst that can be said about Solih is that he has no experience in governing and that his campaign team is preaching to the converted. 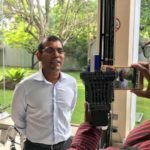 There have been accusations he is a puppet of Nasheed – the two are good friends – and that he won’t be able to stop in-fighting because of the tension between Gasim, Nasheed and Gayoom. These three would have their criminal convictions overturned in the event of an opposition win and could stake their claim to power, either themselves or through their children. 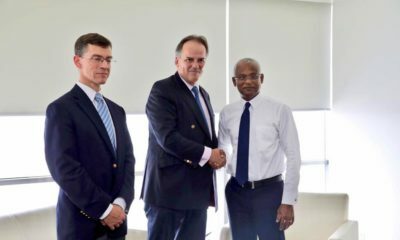 But, as the parliamentary group leader for the Maldivian Democratic Party, Solih has proven himself as a negotiator and consensus builder. What would happen to Yameen if he lost? 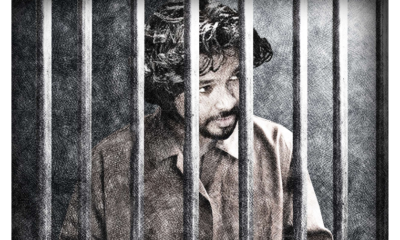 He would almost certainly be arrested, investigated and tried on many charges including corruption and murder. If he doesn’t flee the country first. What would happen to Solih if he lost? He would almost certainly be arrested on a trumped-up charge. If he doesn’t flee the country first. Will there be a coup? The president alleged in February there was a coup plot and that the only way to investigate it was through a state of emergency. If Yameen feels he cannot win this election he may say there is another attempt to topple him. A state of emergency would delay – or even nullify – the election result announcement. Yameen could also deploy the Supreme Court. But the chances of a coup increase if Yameen loses the election and refuses to cede power. 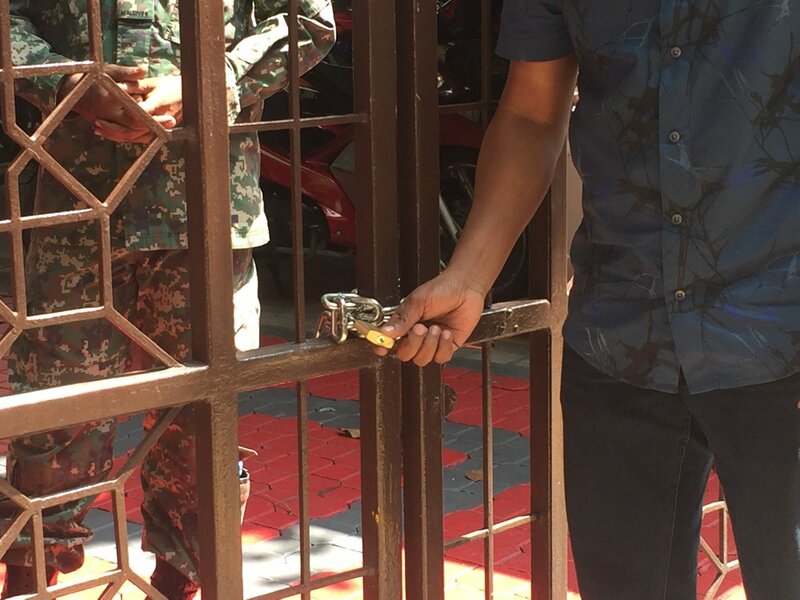 It is hard to see the Maldives military turning their weapons on civilians to keep him in office or to keep the peace, especially with sanctions looming.